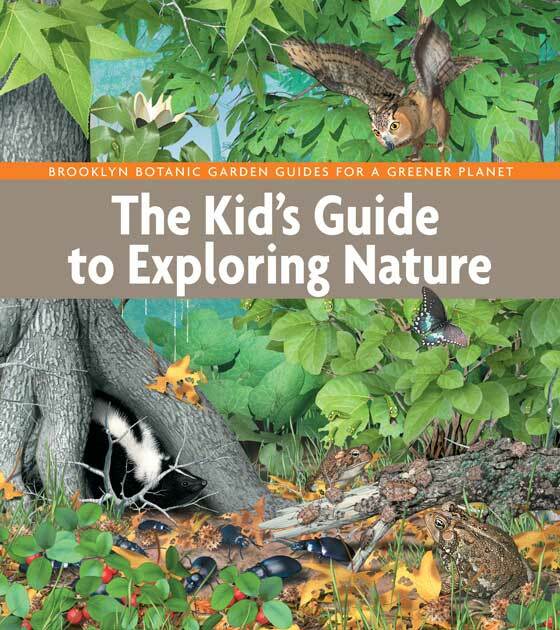 The Kid's Guide to Exploring Nature, by Brooklyn Botanic Educators. (Edited by Sarah Schmidt.) Brooklyn Botanic Garden, 2014. This gorgeously illustrated guide calls on children to look closely at the world around them through 24 “adventures” that invite readers to explore the complex ecosystems of plants and animals in the woods, at the beach, and in a city park. Detailed, scientifically based drawings help young scientists identify hundreds of North American plants and animals, while dozens of fun projects include keeping a journal, conducting field experiments, and exploring nature with all five senses. The activities are organized by season and the book also includes summaries of common careers, such as nature educator and field biologist.